Schmidt AB, Andrews DL, Rohrbach A, Gohn-Kreuz C, Shatokhin VN, Kiselev VG, Hennig J, von Elverfeldt D, Hövener JB. Do twisted laser beams evoke nuclear hyperpolarization? Journal of Magnetic Resonance 2016, 268, 58-67. Rovedo P, Knecht S, Bäumlisberger T, Cremer AL, Duckett SB, Mewis RE, Green GGR, Burns M, Rayner PJ, Leibfritz D, Korvink JG, Hennig J, Pütz G, von Elverfeldt D, Hövener J-B. Molecular MRI in the Earth’s Magnetic Field Using Continuous Hyperpolarization of a Biomolecule in Water. The Journal of Physical Chemistry B 2016, 120 (25), 5670-5677. Ludwig U, Eisenbeiss A-K, Scheifele C, Nelson K, Bock M, Hennig J, von Elverfeldt D, Herdt O, Flügge T, Hövener J-B. Dental MRI using wireless intraoral coils. Scientific reports 2016, 6, 23301. Hövener J-B, Schwaderlapp N, Borowiak R, Lickert T, Duckett SB, Mewis RE, Adams RW, Burns MJ, Highton LAR, Green GGR, Olaru A, Hennig J, von Elverfeldt D. Toward Biocompatible Nuclear Hyperpolarization Using Signal Amplification by Reversible Exchange: Quantitative in Situ Spectroscopy and High-Field Imaging. Analytical Chemistry 2014, 86 (3), 1767-1774. Hövener J-B, Schwaderlapp N, Lickert T, Duckett SB, Mewis RE, Highton LAR, Kenny SM, Green GGR, Leibfritz D, Korvink JG, Hennig J, von Elverfeldt D. A hyperpolarized equilibrium for magnetic resonance. Nature Communications 2013, 4, 2946. The focus of our group is to make the hidden powers of magnetic resonance accessible for medical diagnostics and to unlock new areas of application. It is our goal to enable new diagnostic parameters that relate to metabolism, physiology and function. We pursue this goal by developing new sequences, hardware and the hyperpolarization of nuclear spins. Hyperpolarization is an emerging method to increase the power of magnetic resonance (MR) dramatically. Despite the fact that magnetic resonance imaging is very successful, it is very insensitive as well. In fact, all modern MRI scanners use only a few parts per millions of the signal that is theoretically available. Hyperpolarization commences at the very fundamentals of MR by increasing the inherent low polariaztion up to unity. Hyperpolarization has demonstrated to enhance the MR signal 100.000 fold, paving the avenues for entirely new applications of MR. Bridging the gap between spin physics and medical diagnostics, hyperpolarization is a truely interdisciplinary research area with all the benefits and pitfalls which come along. 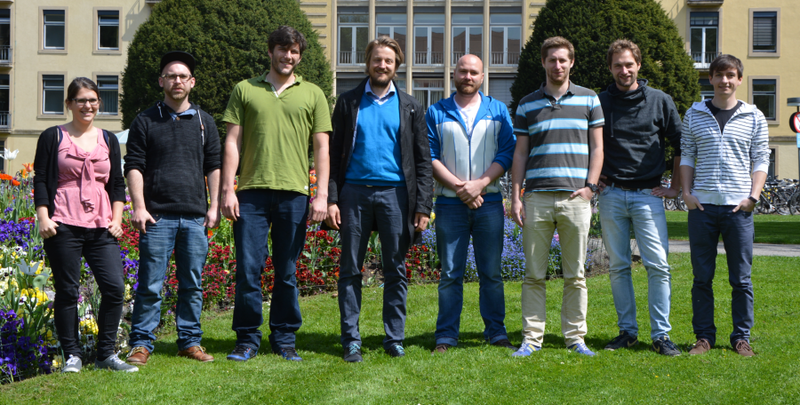 The hyperpolarization group in Freiburg is focused on the development of new hyperpolarization methods and bringing these advances to biomedical application. For more information, visit www.hyperpolarization.net. Copyright © 2015 Hyperpolarization Studygroup Equipment and Methods. All Rights Reserved.